This is me and my brother’s Our Generation boy doll. We got him (originally ‘her’) on sale at Target. He was, when we bought him, Sadie. I cut his hair off (I’m not quite finished with cutting it). We also lightened his lip color with non-acetone finger nail polish remover, and trimmed his eyelashes. 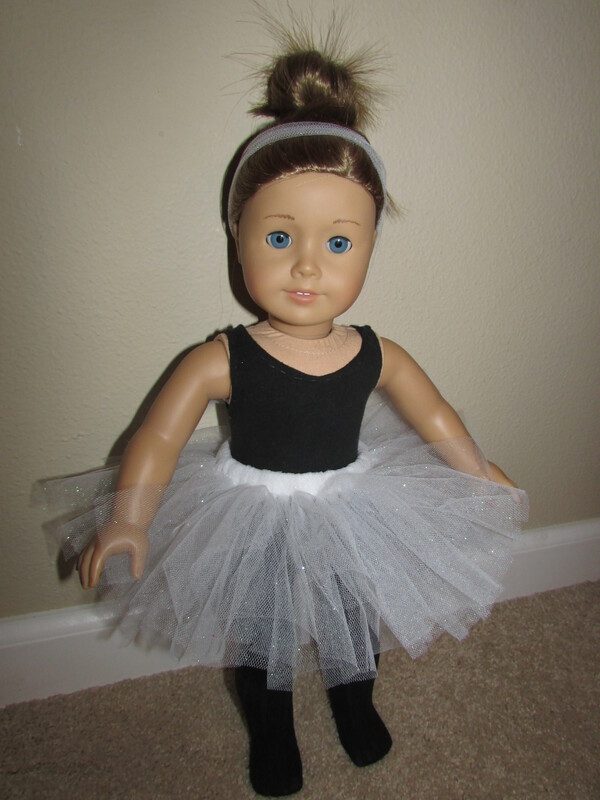 I made the shorts for my American Girl Doll at first, but they were so small I couldn’t get them on. 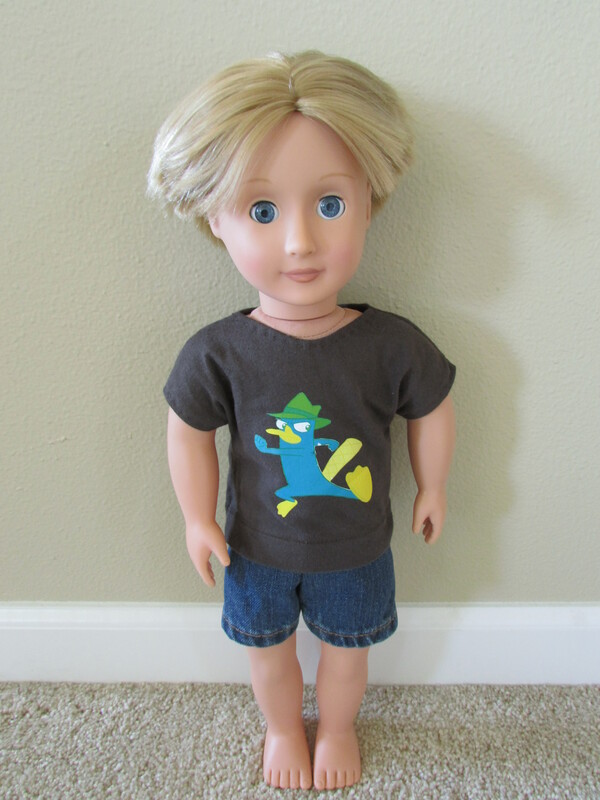 Luckily, OG dolls are skinnier (although the same height), and the shorts fit nicely on this guy. Because he is skinnier then an American Girl Doll, I think I will be able to use the girl patterns on him, because they will turn out looser. The t-shirt is my favorite shirt pattern, because it’s easy and has sleeves. The pattern is from SimplySweetByb.com here. I use it in a lot of outfits. I printed and cut out Perry the Platypus from Phineas and Ferb on iron-on transfer paper. The printer decided to print Perry’s hat green, but it didn’t bother us. 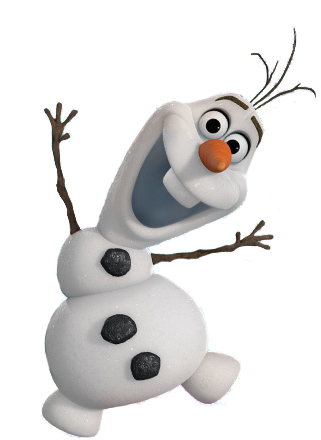 I plan on making him a wardrobe of clothes and posting them! 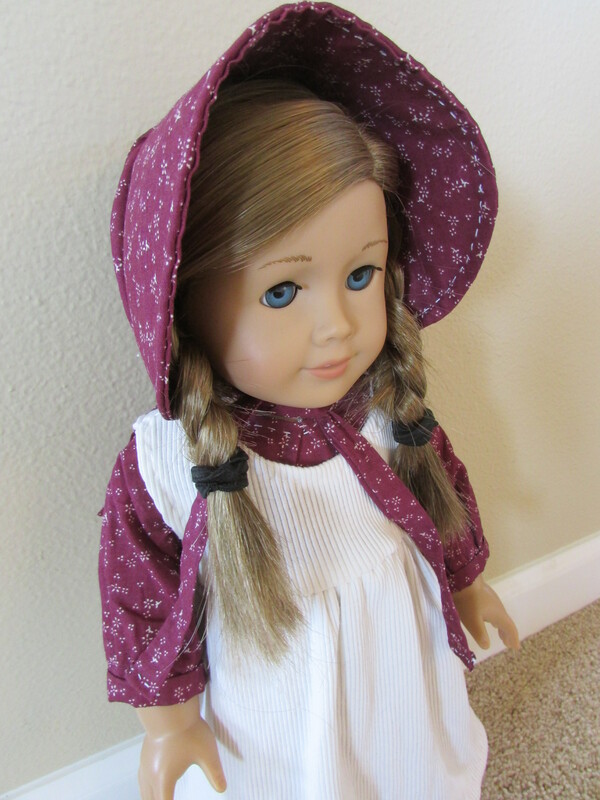 This dress is modeled after the Little House on the Prairie dresses that the Ingalls girls wear. I made my own pattern for the top of the dress (and used it again for the apron). I sewed gathered rectangles of cloth and sleeves to the dress top to make it. I did the same with the apron, but without the sleeves. 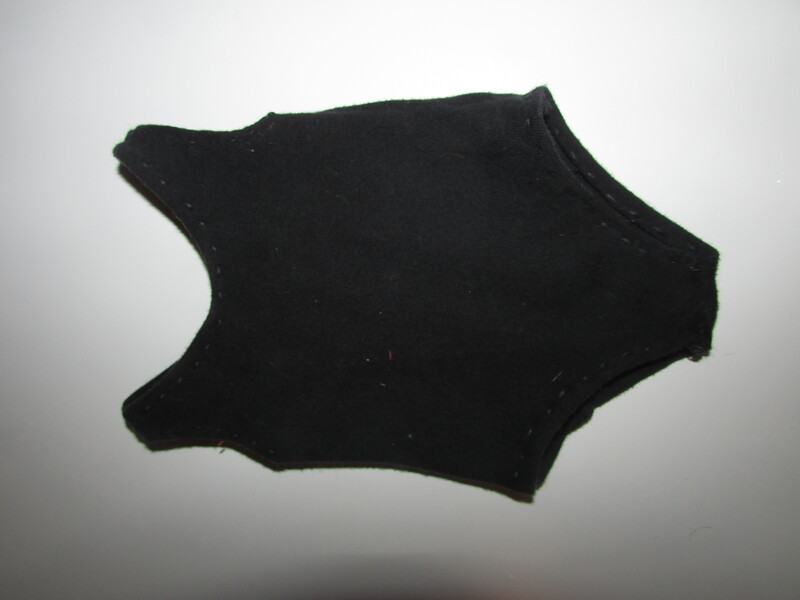 The bonnet I found a human pattern for here, and printed it doll size. I also made a full sized one for myself for fun! 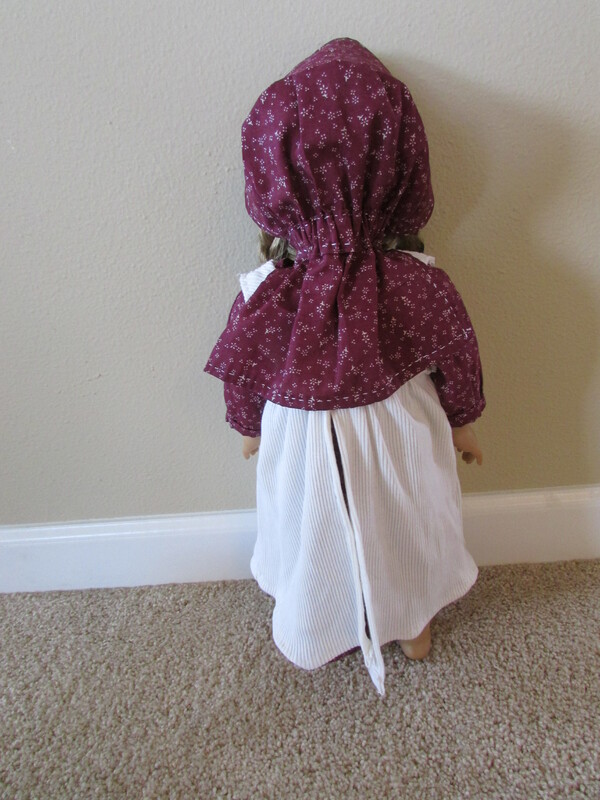 The back of the bonnet that covers the neck is a bit long on the doll, so eventually I’m going to shorten it. My brother and I have made an Our Generation boy doll, and I’m going to make a post on how we did it! Probably some clothing for him too! 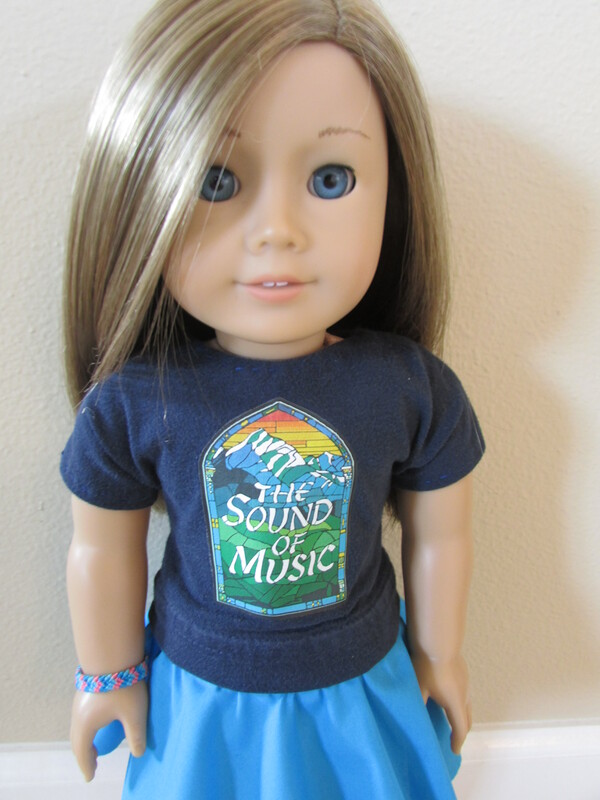 I used a t-shirt pattern to create this blue t-shirt, then added a white block of cloth to put on the Leavenworth Summer Theater logo to make an LST American Girl Doll T-shirt! The t-shirt pattern link can be found in my Purple/Black Skirt Outfit Post. The logo is just white and black for now, but once I get fabric pens or Sharpies, I’m going to color it like the logo below. The skirt I made about 2 years ago and didn’t use a pattern for, I simply cut 26 identical triangles and sewed them all together. I hemmed the bottom and added little golden bells, since the skirt was originally a St. Patrick’s Day skirt. I folded over the top of the triangles and sewed on a waistband (not shown in the picture to the left). 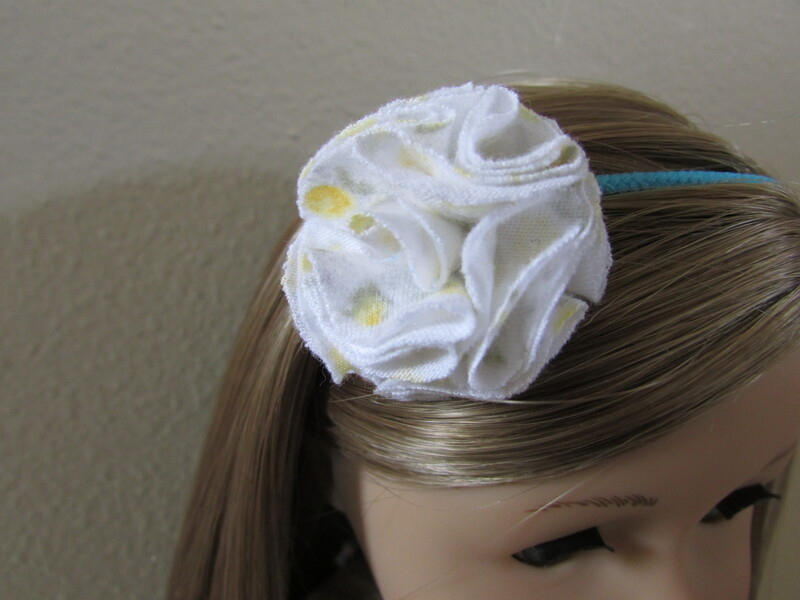 The waist band attaches with a snap in the back. And, of course, the blue tights. 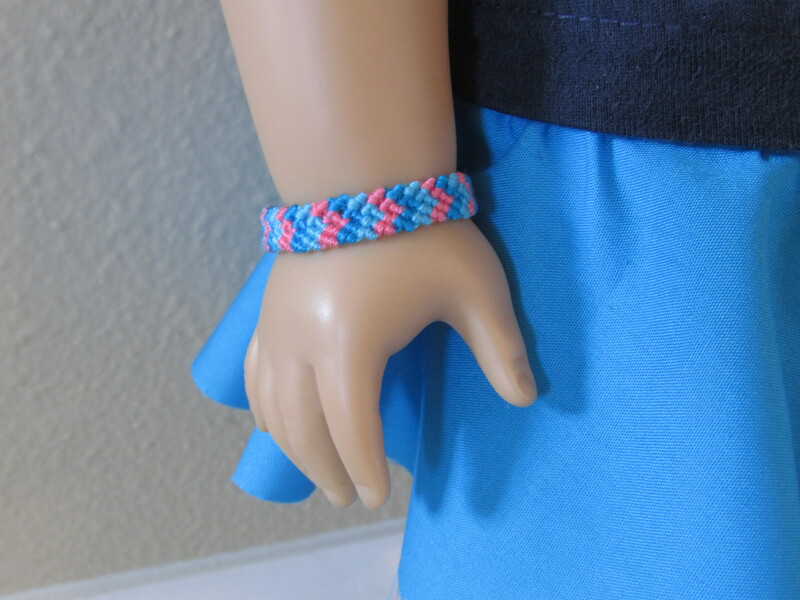 This was the first pair of tights I attempted to make for my doll, and I was pleased with how simple it was! 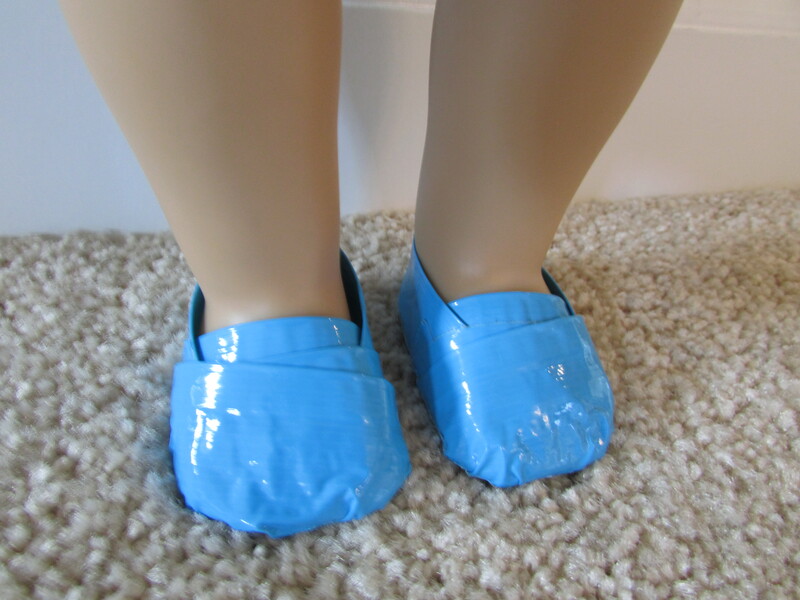 All I had to do was cut off the top part of a knee high, cut it in half up the middle, leaving about 3 inches together at the top, and sewed the inside of the legs and tip of the toes. 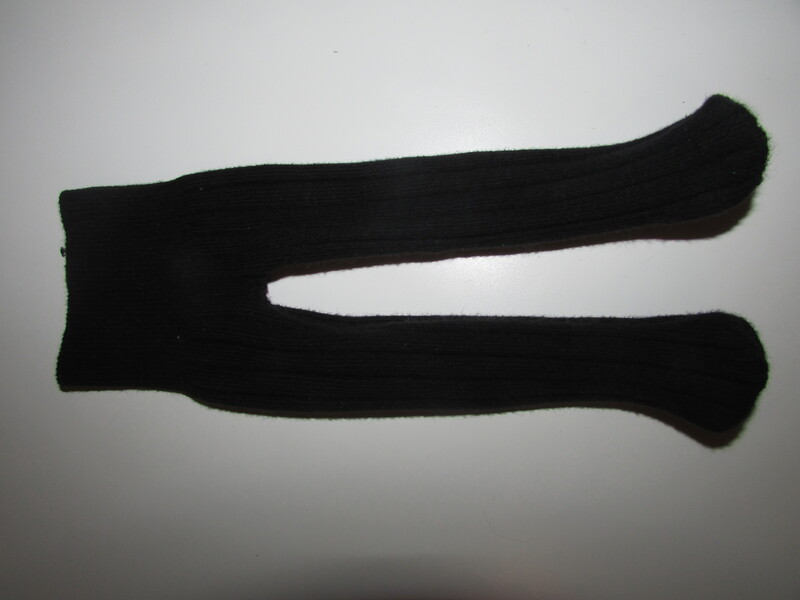 They are a little difficult to get on, but that is probably just because the sock was kind of narrow to begin with. 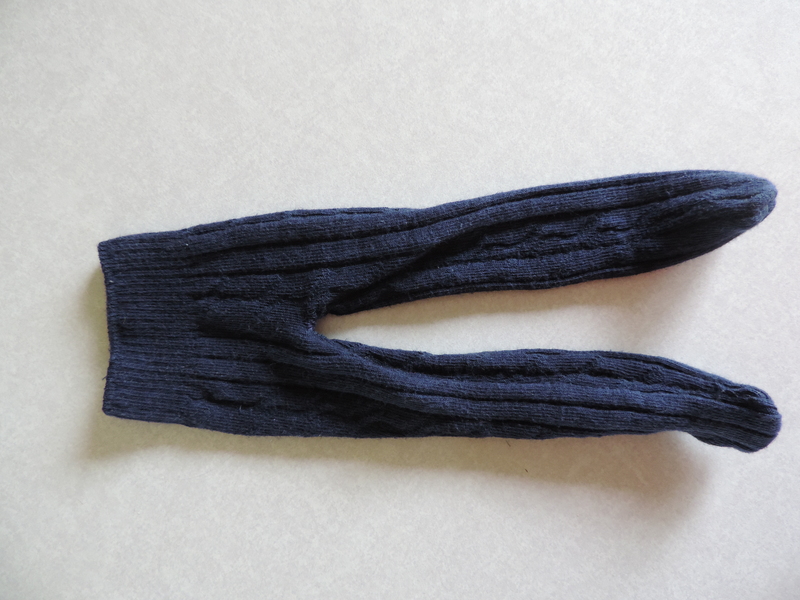 Now I know that a wider, stretchier sock would be even more perfect for tights. 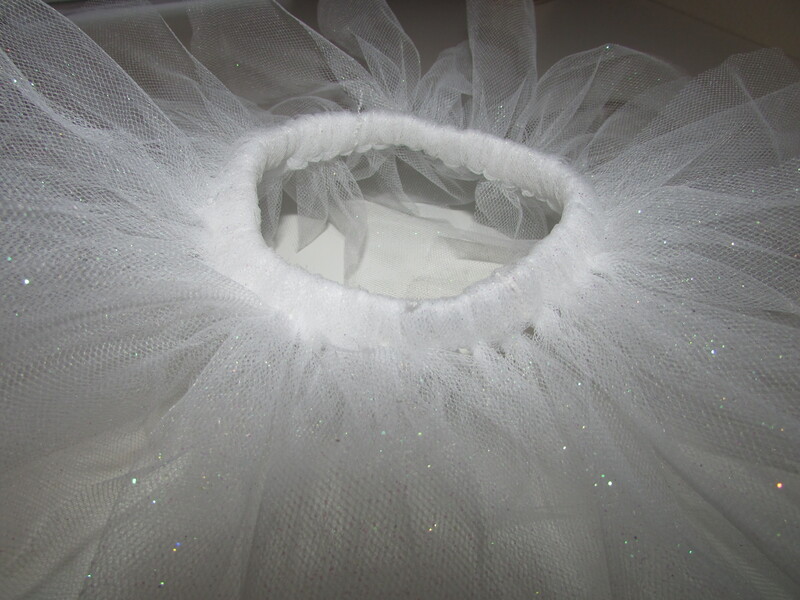 I’m currently working on tights and a leotard! 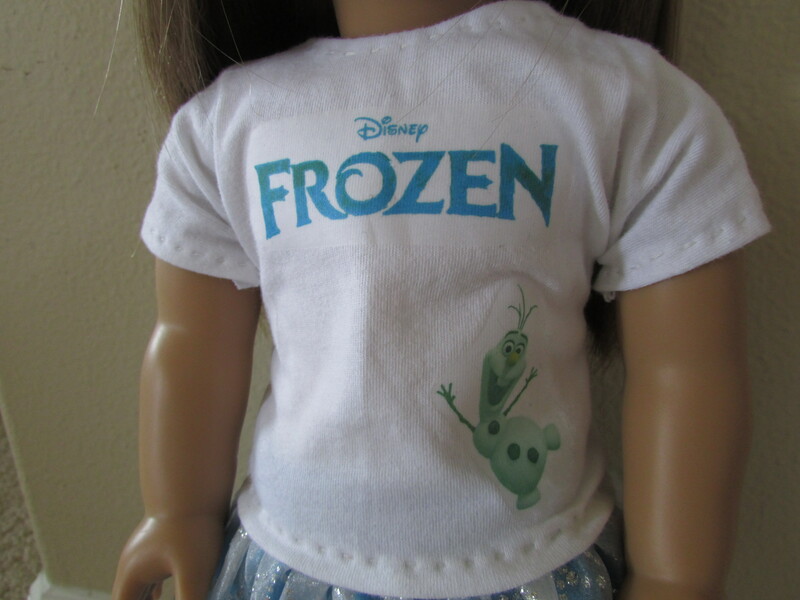 So I found a bunch of pictures of doll clothes I made two years ago. The pictures aren’t awesome, and the backdrop is my cello case, but I decided to put them up anyway. The first is a pink and white flowered Easter dress with a bow in the front and in the back. It’s on the left. 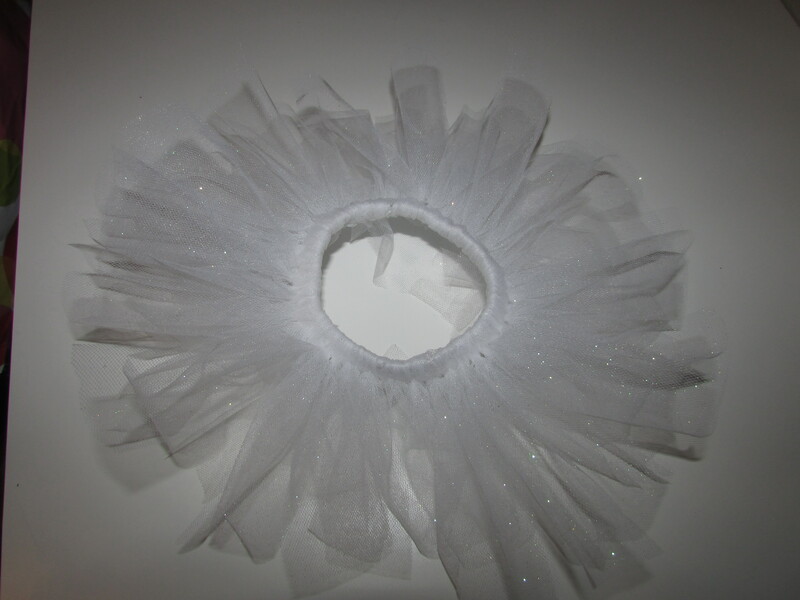 And I didn’t use patterns for these, I just made them. As always, it’s all hand stitched. I made the pink flower summer dress. The top of the dress is pleated. 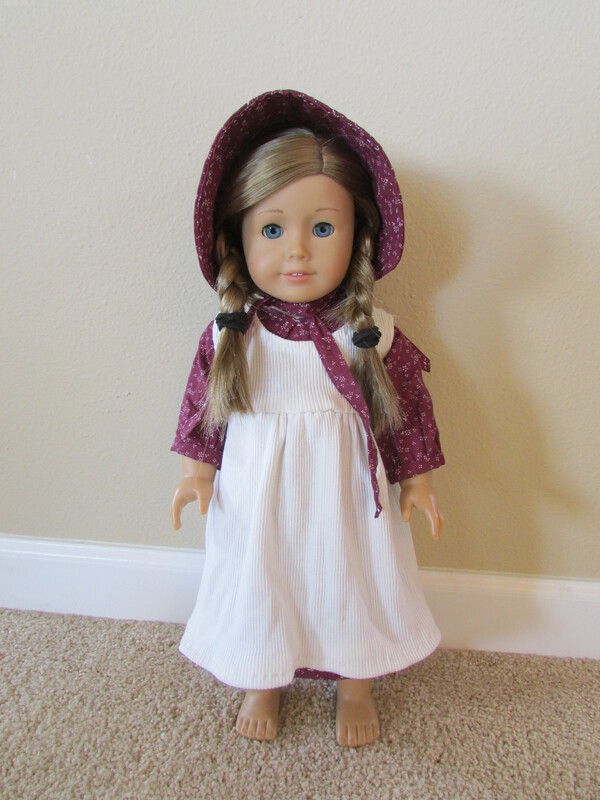 Then there’s also the pink satiny nightgown, and then the winter bonnet with fur. Very warm.